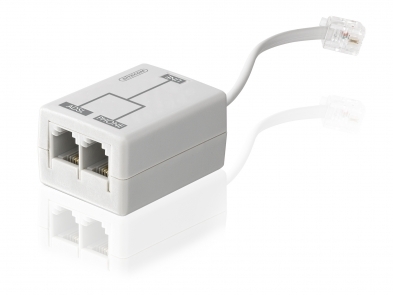 This ADSL splitter allows you to connect both a telephone and an ADSL modem via one telephone line. This means you can use your telephone and your broadband Internet connection at the same time so that people can still reach you by telephone. 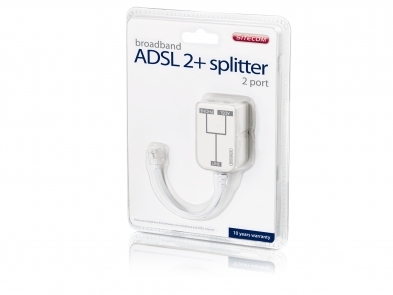 The ADSL splitter is only suitable for use with analog telephone lines (Annex A).